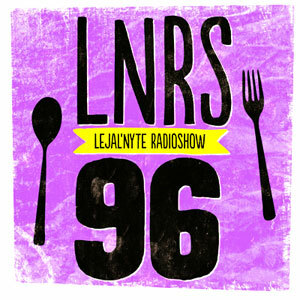 Lejal’Nyte radioshow LNRS096 was live on air @ http://www.sub.fm 27.04.2013 @ 9AM UK time @ 11AM EE time. Fresh music from artists like DJ ENME, Conscious Pilot & Hulk, Djuko, Chump Change x Gee, Arshaw, Checan, Kalvik, Leiner and many others. This entry was posted in radio and tagged 5and7, armand van helden, arshaw, b.yrslf, bass, body high, breakage, brenmar, cedaa, checan, chump change, circo inverso, coleco, conscious pilot, danny b-line, dear lola, deep house, digital soundboy, disclosure, djuko, dopeunkle, dubstep, el-b, electro, enme, eprom, experimental, fact, four40, future garage, g-jones, gee, grime, grizzly, gumnaam, guttstar, hackman, hedmuk, house, hulk, i killed kenny, jerome lol, jme, juke ellington, kalvik, koloah, l-vis 1990, leiner, lejal'nyte, local tempa, loefah, loveless, myrryrs, neuronphase, nightwave, nubian mindz, ossie, raw, rwina, sango, secondcity, sinden, sinead harnett, skywlkr, slickdon, squarehead, sub.fm, teddy music, thomas white, trap, unknown to the unknown, vilify, wo. Bookmark the permalink.